Convenient and Affordable Self Storage Units! Opened in 2015, St. Joe Self Storage offers conveniently located, high quality, and well maintained self storage units in a variety of sizes! Contact us today to learn more about our services and experience our first-class customer service! Ask us how to receive a $15 gift card for referrals! Since 2015 St. Joe Self Storage has been providing high quality self storage units and stellar customer service to the residents of Evansville and surrounding communities. 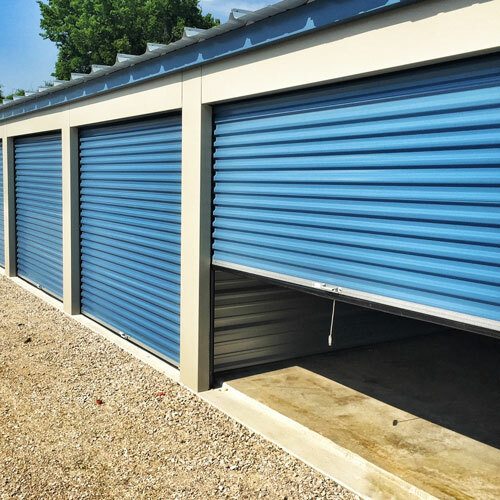 We offer a wide variety of self storage unit sizes and even offer Temperature Controlled units for belongings and equipment that require that extra protection from the elements. Our facility is privately owned and operated and we are proud members of the community. We offer well maintained storage units at extremely affordable prices and pride ourselves on our customer service! Whether you're looking for residential storage space for a move or are in need of commercial storage for equipment or inventory, St. Joe Self Storage has all of your self storage needs covered! Use our easy online reservation form or call (812) 402-0116 today!